Last 4th of July weekend, walking along the booth-lined streets of Cherry Creek North, you could clearly spot a giant green stem rising above the heads of Cherry Creek Arts Festival patrons. At the base of the long, slender stem was a massive cherry, sculpted to spell out the word “Arts” within the curves of its bold, cherry-red frame. One year later, the creator of the iconic “Cherry” returns to the Festival as an exhibitor. The cherry sculpture creator, Garrett Brown, was originally commissioned by CherryArts to create a sculpture that could be mobile and bold enough to represent the arts and education-focused organization at any related event or location. Crafting the massive project from Garrett’s native medium of wood would have resulted in a sculpture weighing over 7,000 pounds, far too heavy to be mobile from site to site. So, he drew inspiration from the waves… Or rather, the durable, yet lightweight, surfboards riding them. He molded the entire sculpture from a hybrid foam and high-density MDF material; coated with resin and fiberglass. 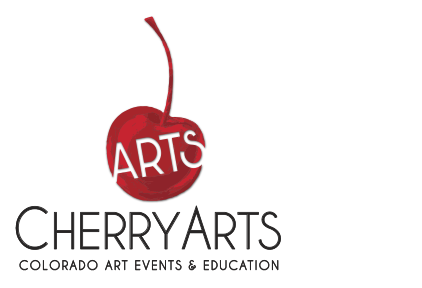 The result was the gorgeous Cherry you saw last year and that will take center-stage once again at the 2016 Cherry Creek Arts Festival, CherryArts Festival at Stanley, and more. Where did CherryArts find Garrett Brown? Have you heard of the Big Wonderful? Prior to the Big Wonderful’s opening weekend in RiNo in 2014, the event approached Garrett to design and create a bold sign that would be eye-catching and indicative of the event’s festive nature. 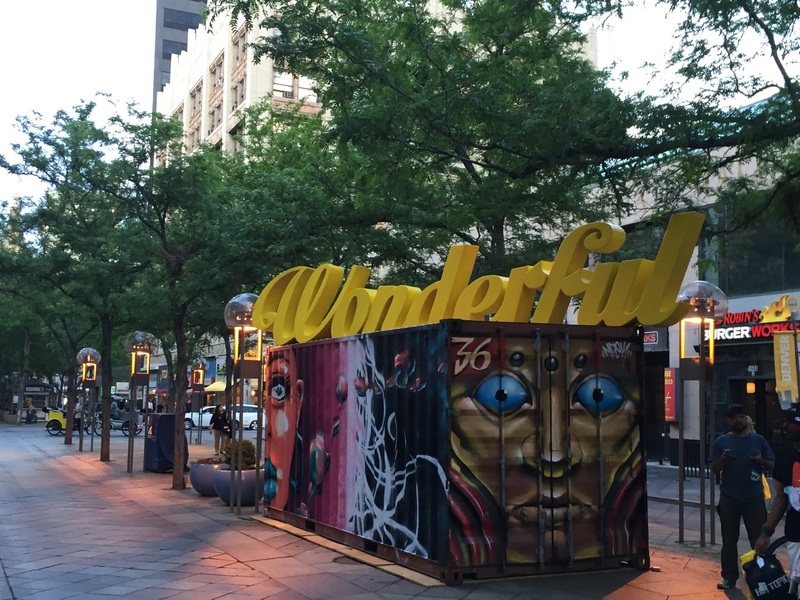 He obliged them with a gorgeous, canary-yellow, massive sculpture of the word “Wonderful” in a playful font. However, it was no small feat crafting the initial build, which took Garrett and two interns over 500 hours to build, mostly out of wood in a small shop. Now, this sign has found a permanent home on the 16th Street Mall and Garrett has created new light-up sculpture to travel with the festival. 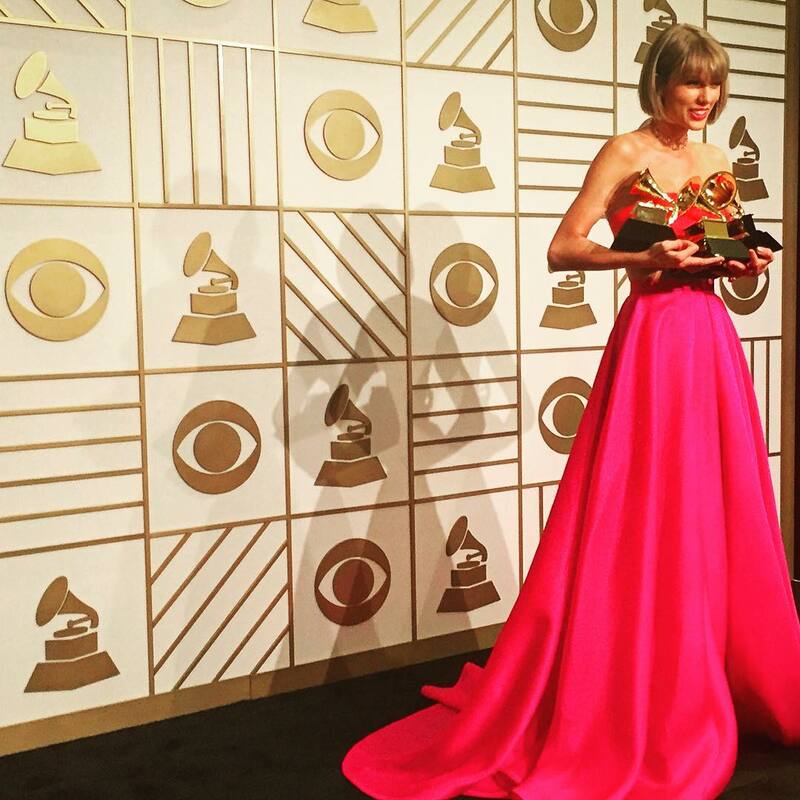 Lacey Hoff with Crush Collaborative saw the “Cherry” and “Wonderful” pieces and contacted Garrett to fabricate her design for the 2015 Grammy Awards sculpted backdrops. 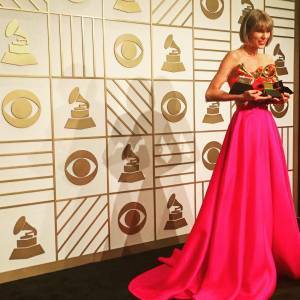 Again, Garrett’s creative juices flowed and he delivered a multi-layered piece that dazzled on camera. 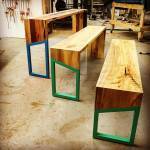 Keep an eye out for Garrett’s piece that will continue to be used in coming years! Garrett is currently reworking the iconic TEDx sign for the organization’s education initiative. TEDx will be in Denver later this year. You can meet the amazing sculptor behind these iconic signs at booth 124 of the Cherry Creek Arts Festival. 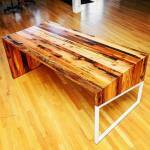 Explore Garrett Brown Designs’ line of custom furniture. 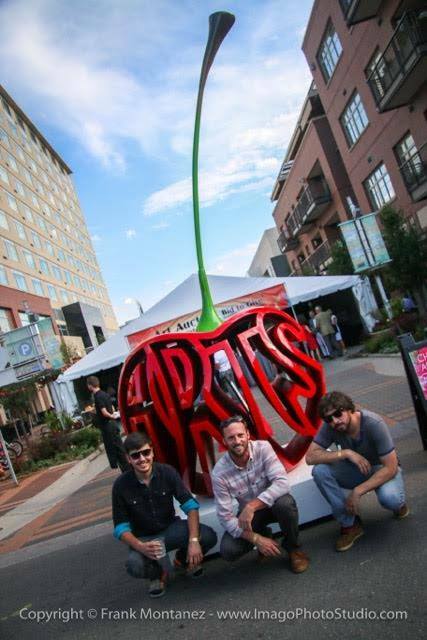 Don’t forget to take a selfie with the cherry sculpture on Fillmore Street near the Janus Main Stage. You can also check him out online at: garrettbrowndesigns.com.